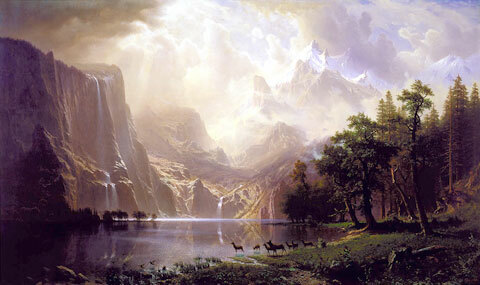 Albert Bierstadt, 1868, “Among the Sierra Nevada, California” is one of my favorite paintings. It is on view at The Smithsonian American Art Museum. Bierstadt often painted very large canvases. This one is 72 x 120 1/8 inches that’s 6 feet by 10 feet! Catch Us in the Act!